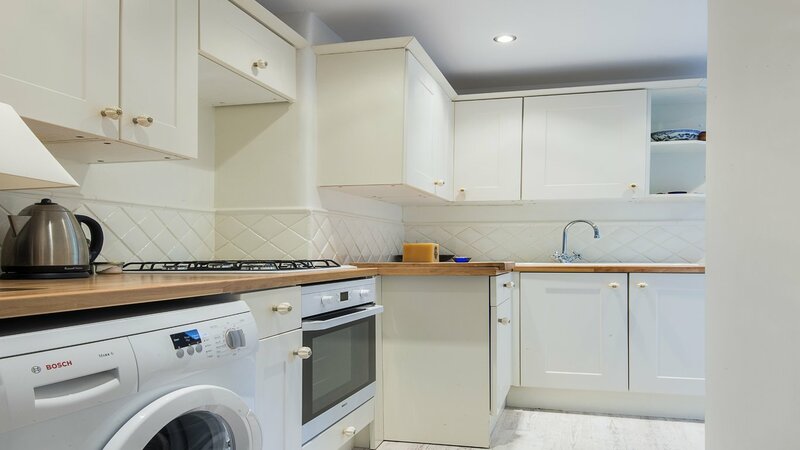 A spacious FURNISHED two bedroom ground floor flat with PRIVATE GARDEN, in EXCELLENT CONDITION and centrally located moments from the desirable Clapham Junction station. This stunning property comprises of one good sized double bedroom and one spacious single bedroom, one chic bathroom, a large reception room with modern tasteful dÃ©;cor throughout and a fully fitted modern kitchen which leads onto a private garden. Amazingly located close to Battersea Park, vast array of eateries, shops, entertainment and other amenities that Battersea has to offer. 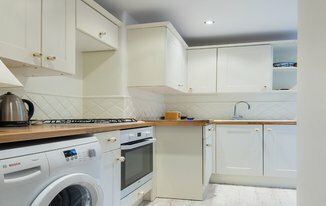 The closest transport link is Clapham Junction station (National Rail and Overground) which is within walking distance where convenient links to various areas across London can be found.